The 2017 SGCNZ National Shakespeare Schools Production was an incredible opportunity for Helena Goldsmith, where she was able to meet an extraordinary range of like-minded peers and learn so much, about not only the craft of Shakespeare’s theatre but also herself. 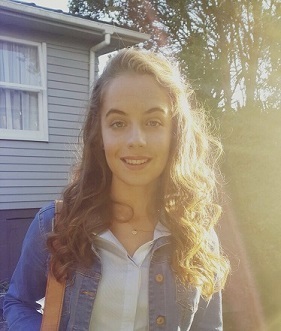 Since her time at NSSP, she has graduated from high school with an Excellence Endorsement in NCEA Level 3 and was fortunate enough to be awarded the Mount Maunganui College Outstanding All Round Year 13 Student Award. The skills and knowledge that she attained while at NSSP proved to be of immense value when she moved to Auckland to start a Bachelor of Law / Arts Conjoint Degree at the University of Auckland.